The IAR renewed a Call for Action on Senate Bill 1380, saw its efforts to reform procedures and costs for foreclosed condos stalled, while the House extended its committee deadline for consideration of Senate bills to this Friday, according to the IAR State Capitol Report. IAR members are urged to contact their senators, if they have not already done so, and ask for a NO vote on Senate Bill 1380 about municipal liens. Even though this bill was defeated on April 23 by a Senate vote, the sponsor used a parliamentary procedure to keep the bill on the Senate calendar. House Bill 330 creating an 18-member task force about recyclable metal theft. 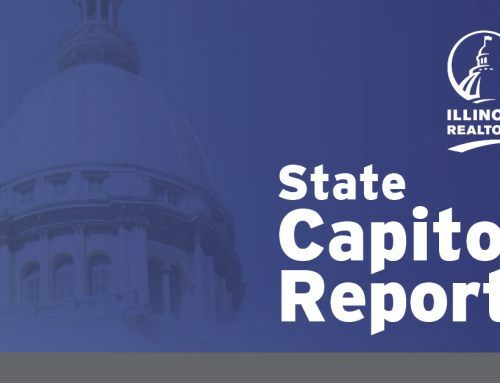 Because the IAR State Capitol Report is for members, you must login to view it as well as the archive of previous issues.